A heart-wrenching, eye-opening, and giggle-inducing memoir about what it's like to grow up not sure if you're (a) a boy, (b) a girl, (c) something in between, or (d) all of the above. From the moment a doctor in Raleigh, North Carolina, put "male" on Jacob Tobia's birth certificate, everything went wrong. Alongside "male" came many other, far less neutral words: words that carried expectations about who Jacob was and who Jacob should be, words like "masculine" and "aggressive" and "cargo shorts" and "SPORTS!" Naturally sensitive, playful, creative, and glitter-obsessed, as a child Jacob was given the label "sissy." In the two decades that followed, "sissy" joined forces with "gay," "trans," "nonbinary," and "too-queer-to-function" to become a source of pride and, today, a rallying cry for a much-needed gender revolution. Through revisiting their childhood and calling out the stereotypes that each of us have faced, Jacob invites us to rethink what we know about gender and offers a bold blueprint for a healed world--one free from gender-based trauma and bursting with trans-inclusive feminism. 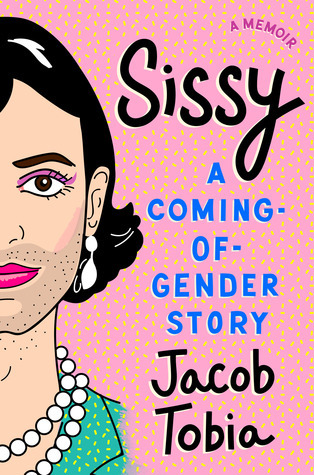 From Jacob's Methodist childhood and the hallowed halls of Duke University to the portrait-laden parlors of the White House, Sissy takes you on a gender odyssey you won't soon forget. Writing with the fierce honesty, wildly irreverent humor, and wrenching vulnerability that have made them a media sensation, Jacob shatters the long-held notion that people are easily sortable into "men" and "women." Sissy guarantees that you'll never think about gender--both other people's people's and your own--the same way again.